New & Exclusive to the Australian Market, this premium quality metallic navy blue paper is from the same manufacturers in Italy that make our fabulously popular Metallic Crystal Perle™ paper & card range! 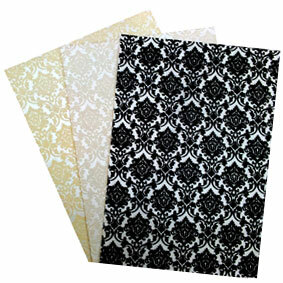 Our C6 envelopes measure 110 x 220mm & hold up to 1/3 of an A4 Sheet (C6). 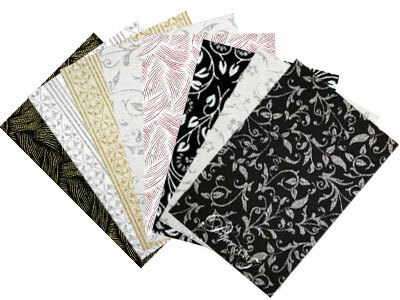 They hold our C6 Pockets, C6 Pouches, C6 Scored Cards & our C6 Flat Cards. 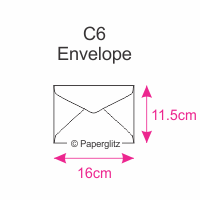 This C6 envelope has a Banker Flap (triangle). This C6 envelope is made from premium paper that is manufactured in Italy and is converted and packaged here in Sydney, Australia. 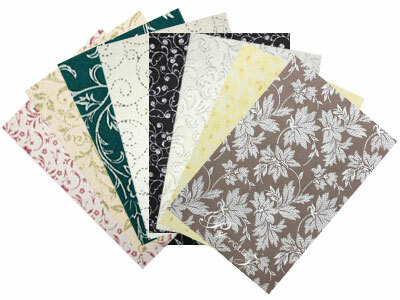 This range of papers is laser compatible and as a result it is great for DIY wedding invitations and projects as many standard laser printers will produce beautiful results. Prior testing is recommended. *Compatible is not a guarantee of performance on your specific printer. It has been tested to work with a wide range of such printers/toners but it always subject to machine type and specification. 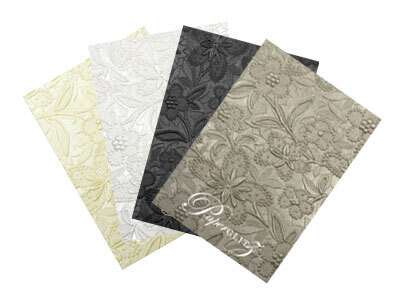 Additionally, embossing may cause difficulties and result in your printer producting a print that looks patchy in the deeper parts of the pattern. Prior testing is strongly recommended. We also carry this colour envelope in the following sizes : 11b, DL & 160x160mm Square aswell as 120gsm paper, 290gsm card, boxes and a wide range of die cut DIY invitation cards.